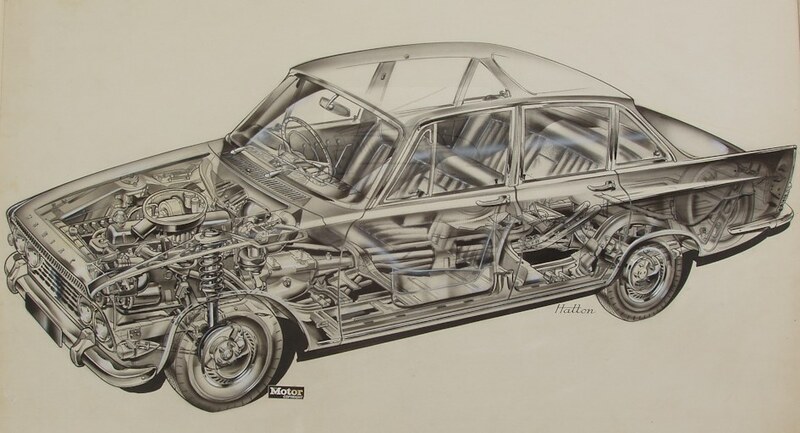 Brian Hatton is probably best known as a cutaway artist for The Motor magazine, but he also contributed the whole range of art ranging from sketches, cartoons and styling drawings. 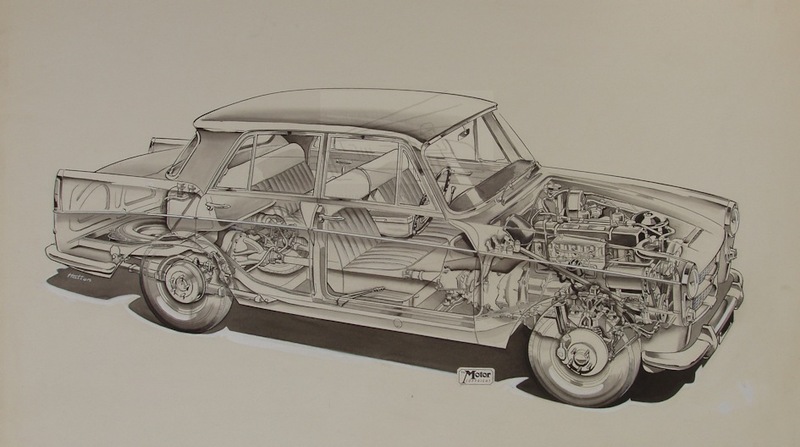 He studied at Beckenham School of Art and was set to join The Autocar where he was interviewed by Max Millar. 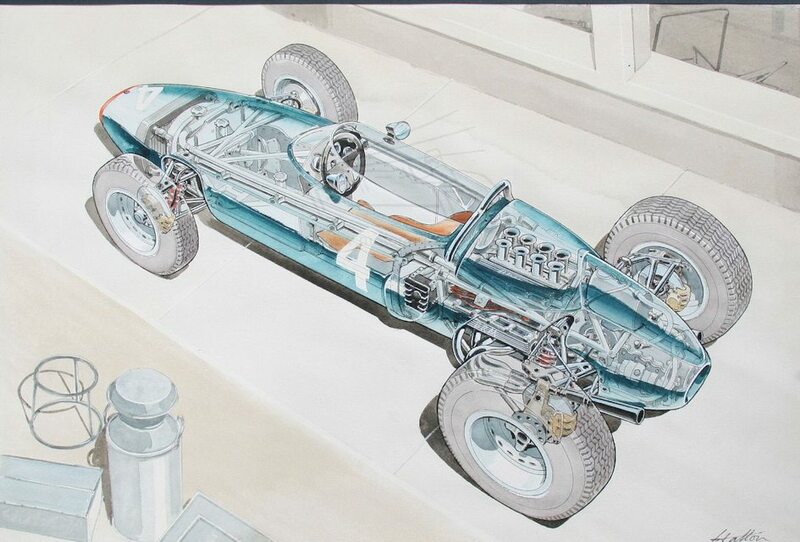 However they delayed making a decision and in the meantime Brian Hatton joined their rivals, The Motor in 1954 as a staff artist. 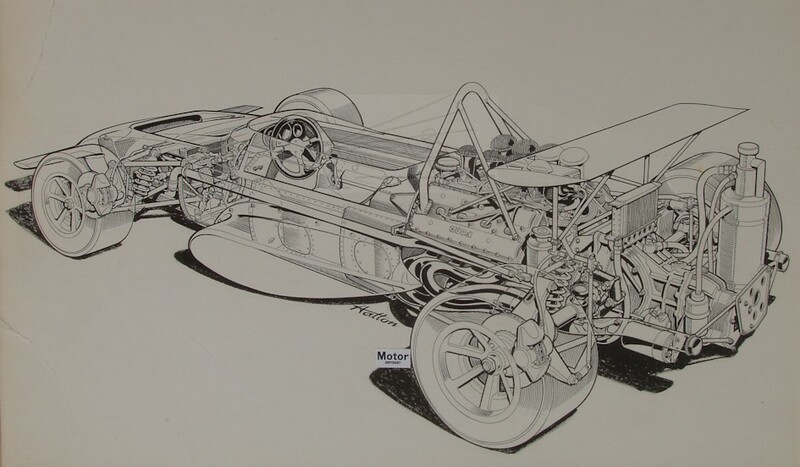 With The Motor he contributed many drawings and cutaways and was particularly well known for his early pre-season drawings of the Grand Prix cars. 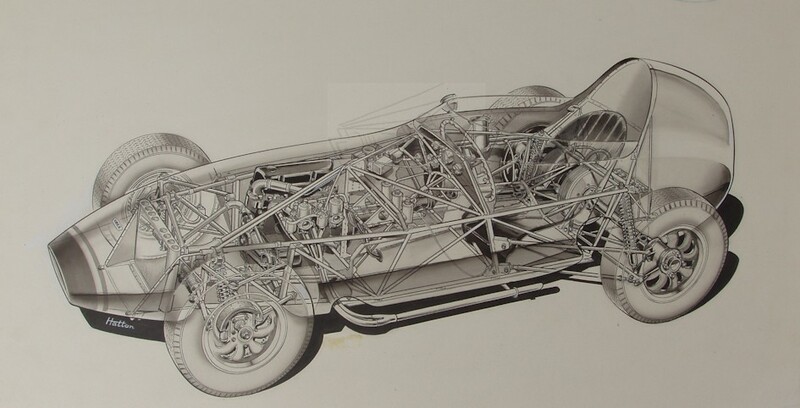 He recalls being able to walk around the factories gathering details to do the cutaways of the cars being assembled. 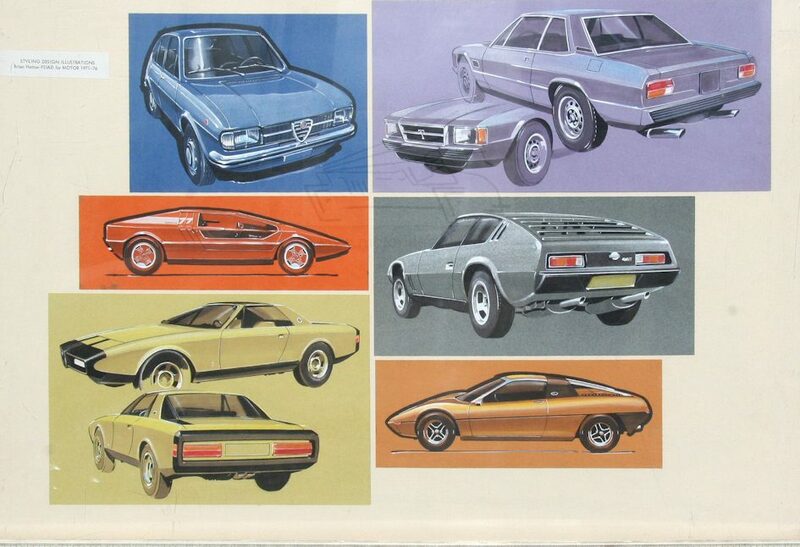 This is a totally different situation to today’s secrecy about new developments. 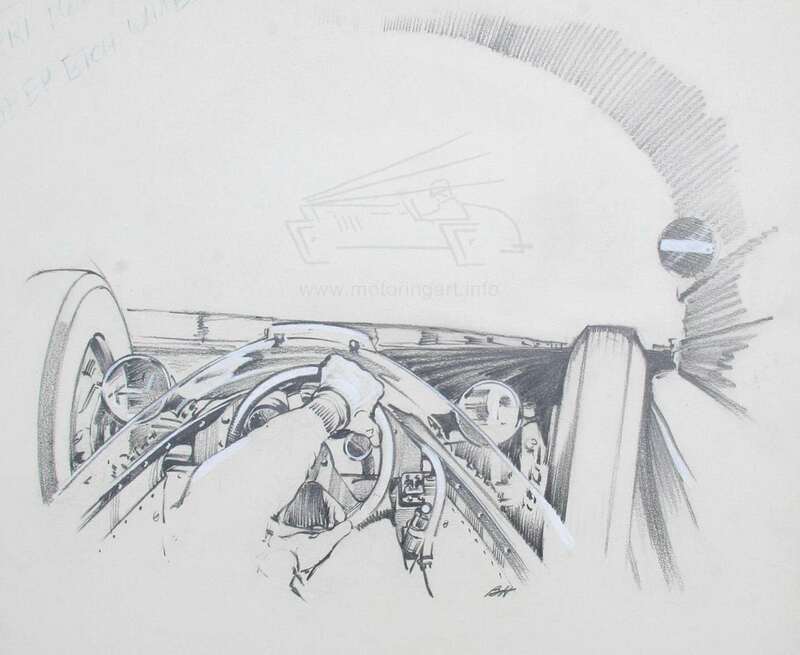 In time he assumed control of the Art Department for The Motor and later in 1974 when IPC took over The Motor and combined it with The Autocar he was the manager of the IPC Studio. This was obviously a difficult task trying to assimilate two different cultures of previous rivals. Brian Hatton retired in 1986. 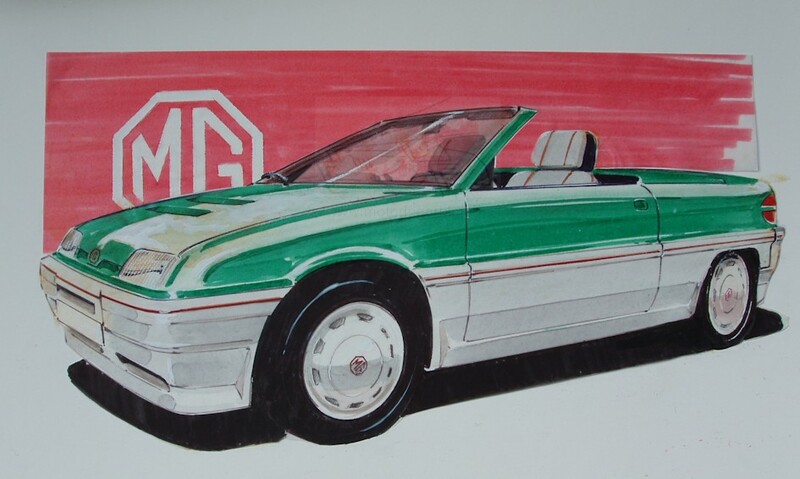 However, he also did some later work for Thoroughbred and Classic Cars magazine. 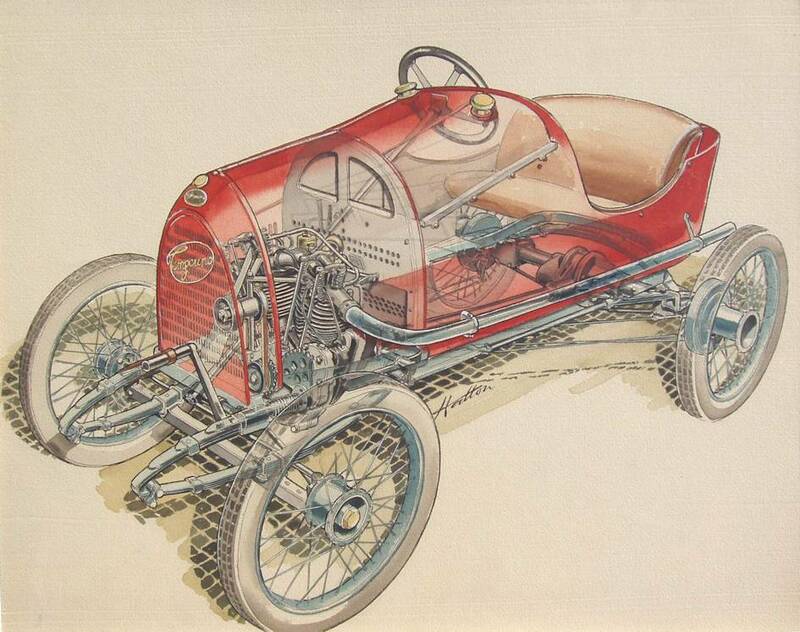 He is a long term enthusiast having owned several old bikes and cars including a three-wheeler Morgan. 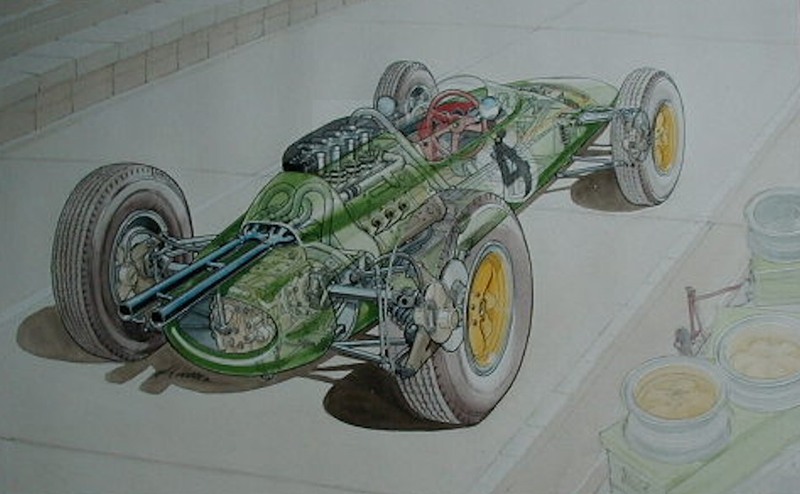 Brian Hatton was supreme at cutaways having the ability to show detail without the work becoming too complicated. 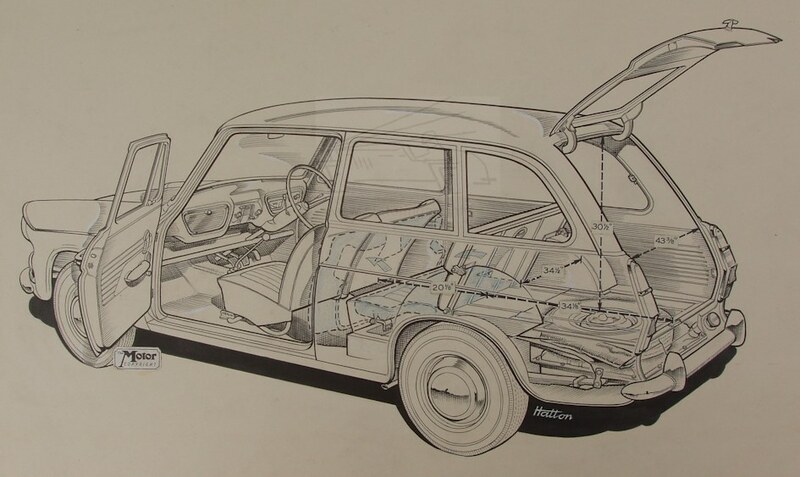 He used pen and ink with monotone wash on art board, the cutaways being executed at a fairly large size (30 x 20 inches) and reduced down for publication. 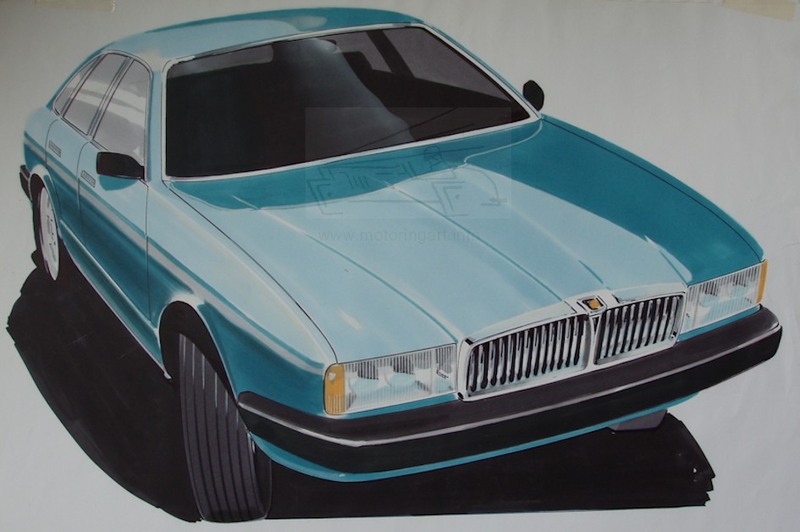 Sometimes pencil shading was used or later Letratone. 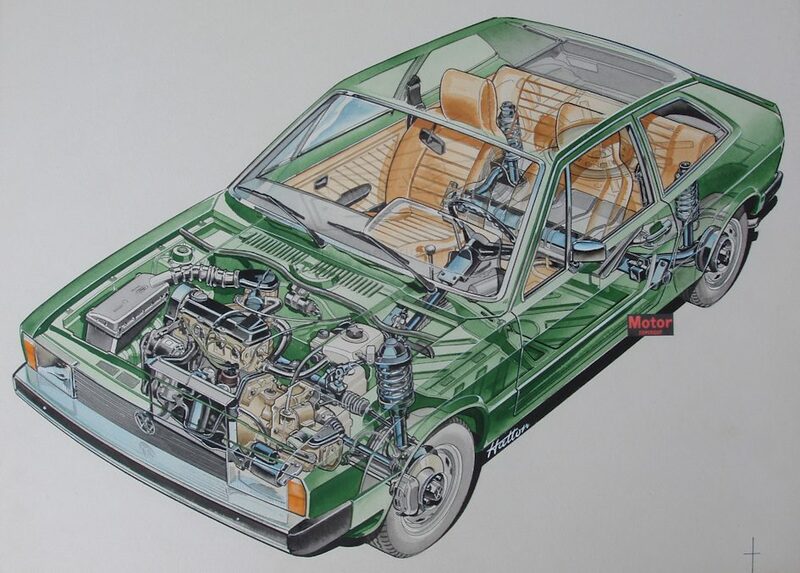 Where colour-wash is employed on the cutaways it is a soft pure colour that really serves to give three-dimensional shape. 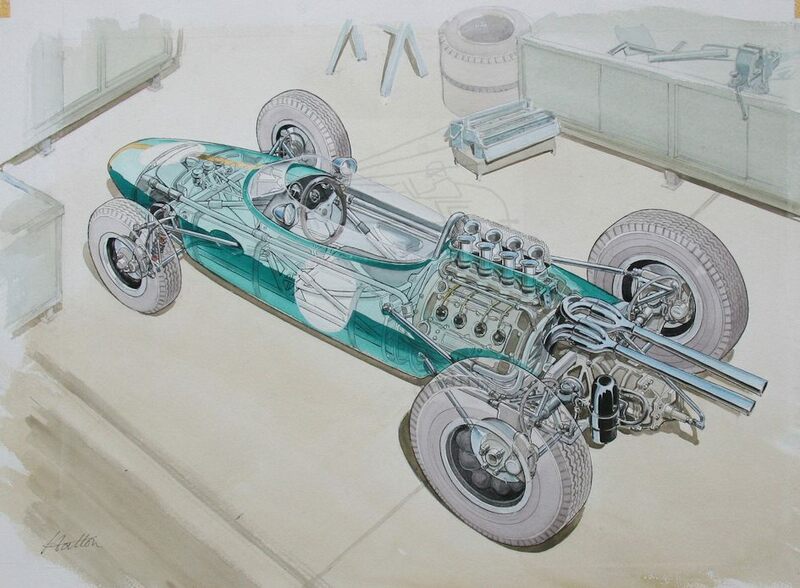 One of Brian Hatton’s finest collection of colour cutaways was entitled the ‘Non-Conformists’ which was a series illustrating cars with unusual mechanical features. 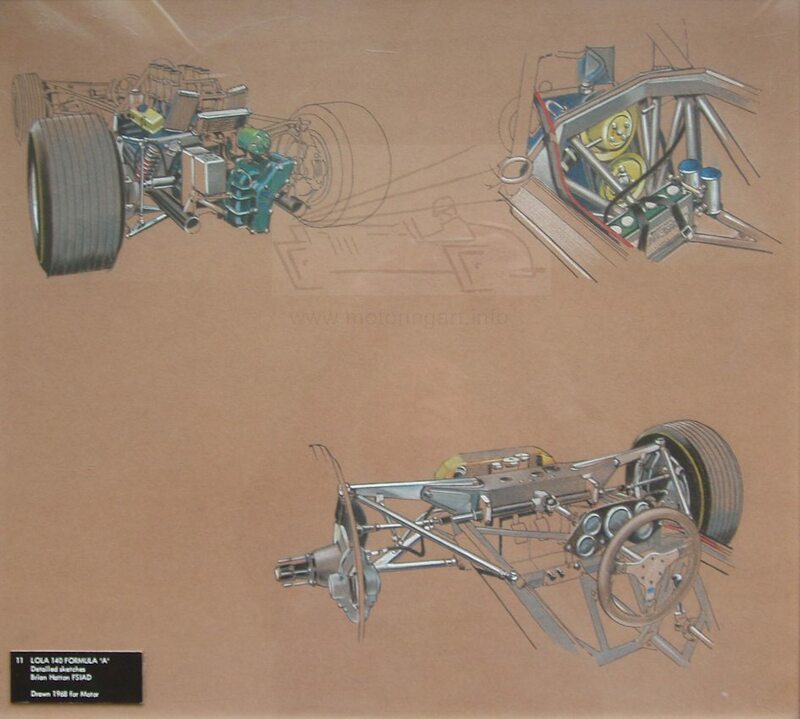 Brian Hatton was also very busy at Motor show time producing technical illustrations of the new car innovations on show and he did some excellent styling drawings of the car bodyworks particularly the concept prototypes. 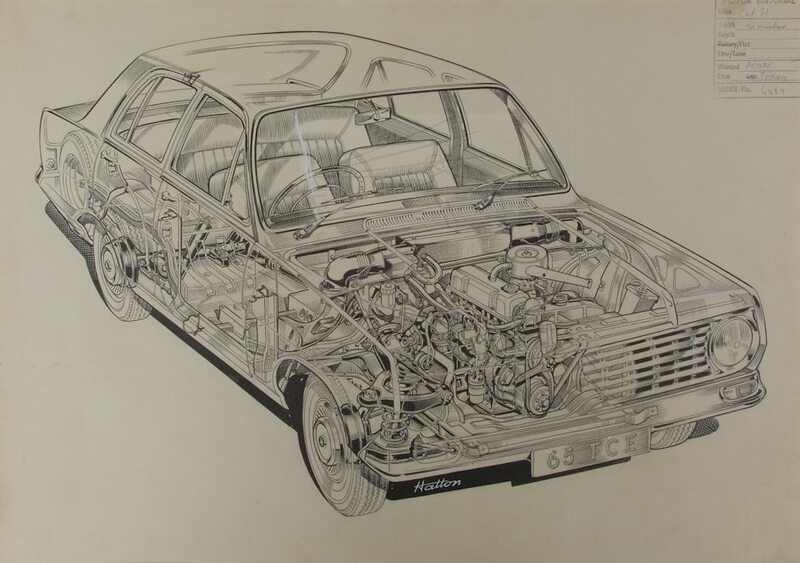 We are fortunate that a lot of Brian Hatton’s work survives from the archives of the Motor/Autocar which was sold by Bonhams in 2001.